Also keep in mind, that the word "scepter" is a term that normally deals with a rod, or a staff, that's normally used by kings. For the word also signifies "royal authority" or "having some type of dominion" or "government" over something. Now after knowing this, one can easily be left with the question: "When did the tribe of Judah actually receive this so-called 'scepter' -- which is a scepter, in which Jacob is speaking about?" In the last article we'd learned, that after Jacob had finished prophesying over his sons: Rueben, Simon and Levi -- we find that he had now turned his attention, towards his other son Judah. And it's for this reason, we now began to take a closer look at the prophecy, that Jacob had begun to speak into Judah's life. Now I like to think, that there's quite a bit, when it comes to the prophecy that Jacob had spoke on Judah's life. For starters, the prophecy points out, that Judah would eventually be praised by his brothers: "Judah, you are he whom your brothers shall praise." And on top this we'd also discovered, that the Judean tribe would eventually assume an authoritative position, from within God's Promise Covenant. Know that this was the very covenant, that the Lord had made with Israel's forefathers: "...your hand shall be on the neck of your enemies; your father's children shall bow down before you." The Sacred Record also revealed, that the tribe of Judah would be like a lion. First as a young lion that would eventually grow into a wise, and stronger, older lion: "Judah is a lion's whelp; from the prey, my son, you have gone up. 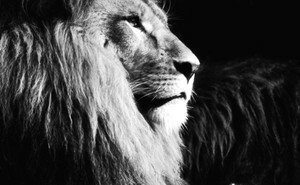 He bows down, he lies down as a lion; And as a lion, who shall rouse him?" Looking Back - The Prophecy Concerning Ephraim? Now in the last article, I'd also pointed out, that Jacob's prophecy concerning Judah -- had nothing to do with the prophecy that concerns Ephraim. And I state this, in spite of the fact, that Jacob had earlier foretold -- that the tribe of Ephraim, would also hold an authoritative position from within the twelve tribes. For the prophecies that concern the two tribes, when it comes to Ephraim & Judah -- has no type of conflict, when it comes to their eventual, authoritarian roles, from within the Israel nation. So therefore, I'm confident when it comes to making such a statement. For I want you to remind you, that Ephraim's authoritative position from within the nation of Israel, begins way before Judah's. And as time goes forward, Ephraim's authoritative position, will eventually run parallel to Judah's authoritative position. And this will happen, after God splits the household of David into two kingdoms. For there will be one kingdom, that will be known as the Northern Israel Kingdom (which consisted of ten tribes, including Ephraim). And as for the second kingdom, know that this kingdom will be known as the Southern Kingdom (which consisted of two tribes - Judah & Benjamin's). Jacob's Prophecy -- Simply Shows Us God? However this may have been, let's move forward... for we will (if God is willing) have plenty of time to explore, and review the importance of Jacob's earlier prophecies, when it comes to his sons. But remember, by going deeper, as we journey throughout God's Word -- we'll eventually be able to see how the current New (Blood) Covenant, had came into existence. And on top of this, Jacob's prophecy not only shows us how the New (Blood) Covenant came into existence -- but it also helps to confirm the New (Blood) Covenant, as being an official heavenly commission, which is a commission that had been ordained by the Most High God. I also like to point out, that's it always good to be reminded, how God treated those, who were found to be in His covenant, and how He treated those, who were found to be outside His covenant. For I'd like to think, that the Word of God allows us to be able to see, how we can faithfully stand strong -- especially when it comes, to being able to trust Him in all things. This is why it helps, to remember that God is the same: today, yesterday, and forevermore -- so therefore, God never changes. Which means, that since the Lord kept His Word back in the days of old -- know that the Lord will definitely keep His Word, in the times of now, as well into the near future and beyond. Know that God's: love, mercy, grace and the gift of redemption, is found throughout His entire testament -- (Both Old & New). Okay, now I want you to notice something that Jacob just said. For we find, that Jacob is telling us exactly, when the tribe of Judah comes into its authoritative power, from within the Israel nation: "The scepter shall not depart from Judah, nor a lawgiver from between his feet, until Shiloh comes"
You know I'd like to think, that there's so much, that's found from within this statement. And actually, entire books have been written on this scripture alone. But understand, that when Jacob says: "The scepter shall not depart from Judah." -- I want you to know, that he's basically pointing to a couple of things. First off, the prophecy tells us (like I stated earlier) when the tribe of Judah will come into power. During the Days of David? First you must understand, that Judah's position wouldn't come into play, until the days of David. Now also keep in mind, that David wasn't Israel's first king, for that honor actually goes to Saul, the son of Kish -- who'd actually came from the tribe of Benjamin. Now during Saul's reign as king, understand that he was ruler over all twelve tribes, for the kingdom had not been divided yet, for it was still whole. And after this had happened, Abner (Saul's cousin and army captain) took Ish-bosheth, who was Saul's only remaining son, and made him king over the other eleven tribes. Now I want you to know, that this arrangement, would only last for the next seven and a half years. For this time period would take place, right before David would eventually reunite the Israel nation as an whole, after the death of Saul's son Ish-bosheth. Now it's at this point, that the scepter is now with the tribe of Judah. And it would stay this way, until the Northern Kingdom of Israel was destroyed by the Assyrians in 721 B.C.. And because of their sins, it would be found around 115 years later, that the tribe of Judah, was also taken into captivity by Nebuchadnezzar and the Babylonians. However, critics would try to use this event, when it came to trying to discredit Jacob's prophecy. For it was from within this prophecy, that Jacob had stated: "The scepter shall not depart from Judah, nor a lawgiver from between his feet, Until Shiloh comes." But what the critics fail to realize, is that when the tribe of Judah was taken into captivity, they weren't destroyed (big difference). And Although the tribe of Judah, were being held captive, they were still a tribe, a nation of God's chosen. Now this reminds me of the time, when this same nation, was being held captive in the land of Egypt, for 400 years. For we must not forget, that the Promise Covenant that God had made with Israel's forefathers was very much still intact -- even though, they were being held captive from within another country. I want you to know, that the same holds true, when it comes to the tribe of Judah, and its Babylonian captivity as well. But let's slow down, and draw back some -- for we must not forget, that the prophet Daniel (a man who was of noble birth, and who'd actually from the tribe of Judah) was already serving from within Nebuchadnezzar's court, long before the tribe of Judah was fully taken into captivity. Know that Daniel, held a very high position from within the Babylonian courts. Some say that Daniel's position, ran as high, as second in command. Sorta like Joseph's position did, while he'd served under Pharaoh from within Egypt. However, if this was the case when it came to Daniel -- know that the tribe of Judah, still held royal representation, during their days of being held in captivity. For we must not forget, that Daniel would serve, and hold his royal position, until the Persian king "Cyrus the Great" had defeated Belshazzar and taken over the city of Babylon. And because of this, within the next few years, Cyrus had allowed the tribe of Judah to return back to their city, so that they could rebuild their temple. And it would be during this period, that the tribe of Judah, would now be represented by Zerabbabel (for he would be later known, as "the prince of the captivity.) And after his reign, representation would now pass to the prophet Ezra, and then to the prophet Nehemiah -- for I want you to know, that they were both from the tribe of Judah as well. Nonetheless, know that these events, would all happen before the birth of Christ. So this brings us to the question: "What happened to the tribe of Judah's royal representation (scepter) or lawgiver status, or what was put in place as its government, a government that had represented the tribe of Judah, to the Israel nation as an whole, as they began to rebuild themselves? For we must remember, what Jacob's prophecy had stated: "The scepter shall not depart from Judah, nor a lawgiver from between his feet, Until Shiloh comes."